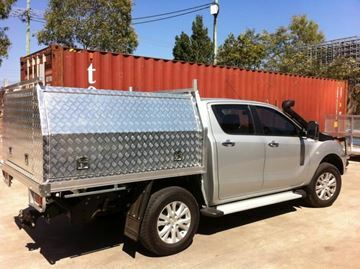 Need lockable and protected storage on your tray back ute? Alloy canopies are the best solution! 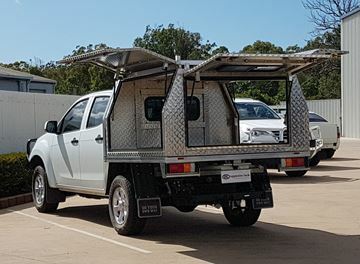 Whether you are a tradie and your vehicle is your tool kit or if you simply want lockable and protected storage, Alloy canopies are the best solution. 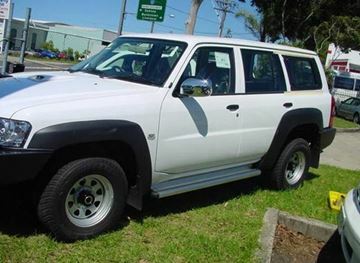 Alloy canopies are made to suit your specific vehicle. For a quote or more information on alloy canopies, call 4151 6211 or contact us via our contact webpage. Â· Waterproof and dust resistant. 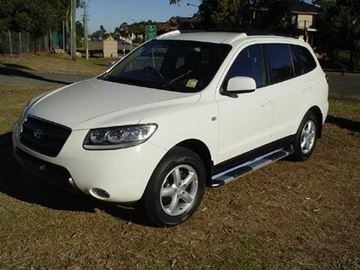 Perfect for the Trade, or for the Recreational traveller, call for a quote for your vehicle today! 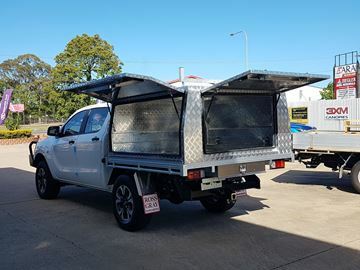 A Simple solution as this is, a canopy that is supplied with the spiggots, and the reinforcing in the side that allows you to leave your tools on the job, fully secured , or use you ute for that weekend trip to the dump, call for a quote today! 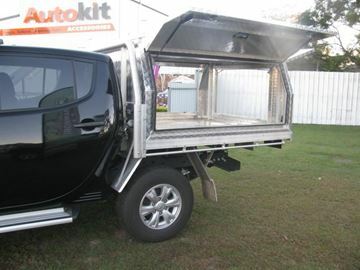 This checker plate alloy canopy to suit the Mazda Bt50 Extra cab with roofracks looks supurb. The canopy gives you a complete dust free work space, and allows you to keep everything secure. 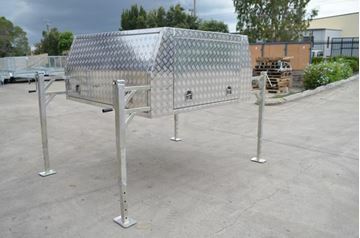 Alloy Checker plate canopy to suit Alloy Tray 1800 x 1800 x 860 high with roof racks, these are a brilliantly priced product, offering plenty of storage capacity, and having 300 kilograms capacity on the roof, call for a quote for your vehicle today! 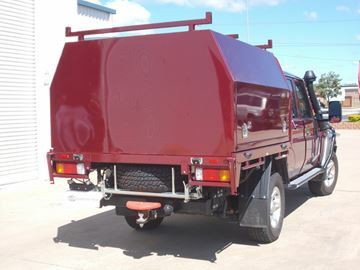 The Colour coded canopy to suit the 79 Series Tray back is a great looking unit. Not only does it look great, but it can be used for more than just the one purpose, whether it be trade or recreational. For more information, please dont hesitate to contact us! 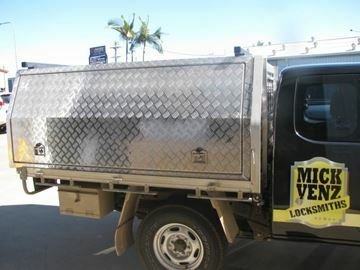 Are you looking for extra lock up storage in your Ute, or maybe you want to protect your expensive equipment from the weather? 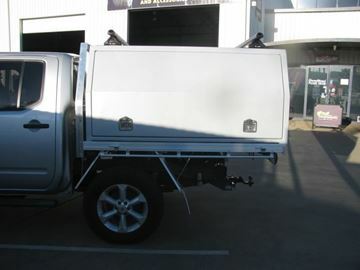 The White Colour Coded Aluminium Canopy to suit the Hilux tray back is a tidy unit. Not only does it look great, but it can be used for trade and recreational purposes. For more information, please dont hesitate to contact us! 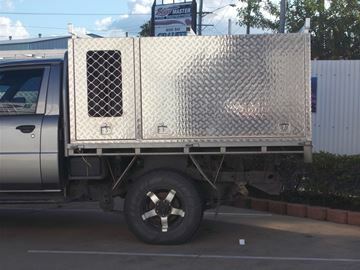 This checker plate alloy canopy to suit the Dmax with roofracks looks supurb. The canopy gives you a complete dust free work space, and allows you to keep everything secure. 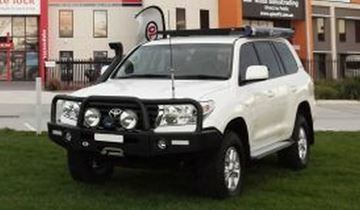 This checker plate alloy canopy to suit the Patrol with roofracks looks supurb. 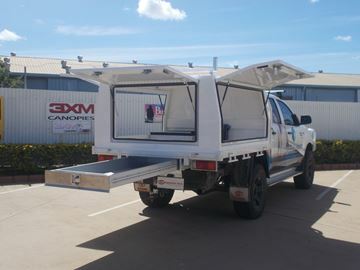 The canopy gives you a complete dust free work space, and allows you to keep everything secure. 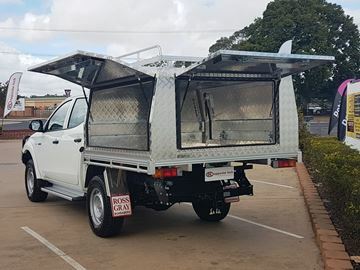 Are you looking for extra lock up storage in your Ute, or maybe you want to protect your expensive equipment from the weather? The Aluminium Checkerplate Canopy to suit the BT50 tray back is a tidy unit. Not only does it look great, but it can be used for trade and recreational purposes. For more information, please dont hesitate to contact us! 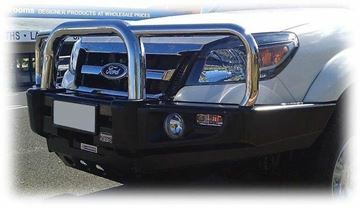 Are you looking for extra lock up storage in your Ute, or maybe you want to protect your expensive equipment from the weather? 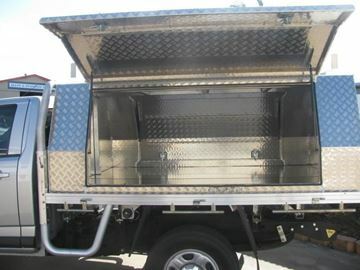 The Aluminium Checkerplate Canopy to suit the MQ tray back is a tidy unit. Not only does it look great, but it can be used for trade and recreational purposes. For more information, please dont hesitate to contact us!